The 2015 African American Music Festival features the intriguing contrast between contemporary African American instrumental music (integrating jazz, hip-hop, rap, gospel, and classical genres) and traditional jazz written for band and choir by the iconic master Duke Ellington. Highlighting the three-day festival are performances and masterclasses by the Mark Lomax Quartet, based in Columbus, Ohio. In addition, two contemporary ensembles led by Penn State alumni are featured. Chanell Crichlow (M.M-tuba ’10) and her ensemble, the New York-based Pitchblak Brass Band, will perform and present a masterclass on Thursday. 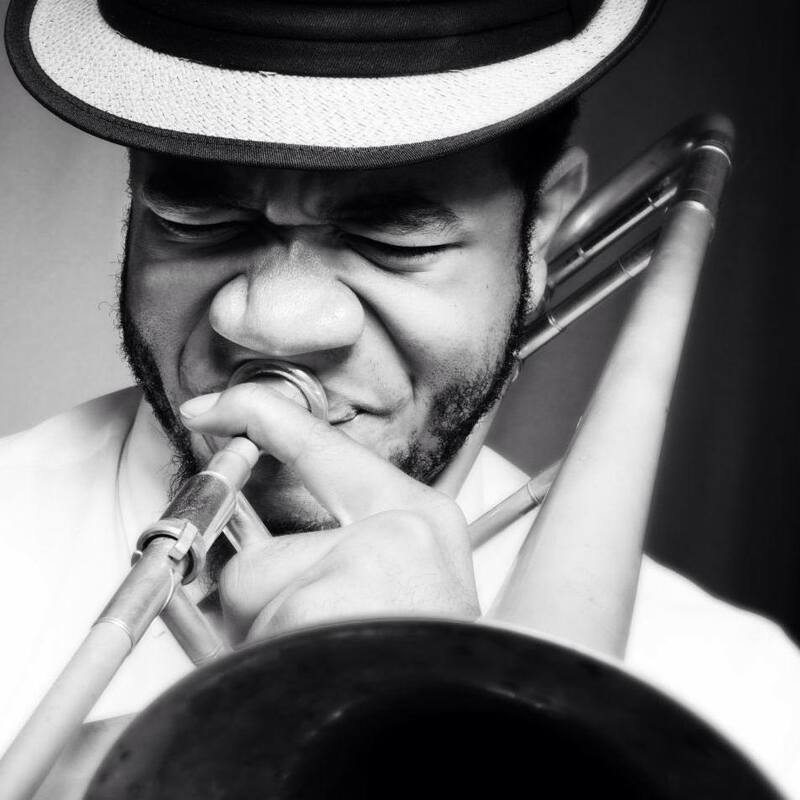 The Corey Wallace (B.M.-trombone ’08) DUBtet, based originally in the Baltimore/DC area but now calling New York City home, will perform on Friday. Also featured on Friday’s schedule are soloists George Karpten, IV (M.M.-trumpet ’13) and Ian Saunders (B.M. ’09, M.M. double bass ’12). Carpten is pursuing his doctorate in trumpet performance at the University of Cincinnati College-Conservatory of Music, and Saunders is pursuing his doctorate in performance at the University of Maryland. Essence of Joy and Centre Dimensions will perform the culminating concert of the festival on Saturday afternoon. The program, titled “The Best of The Sacred Concerts of Duke Ellington,” occurs on Saturday at 1:00 p.m. in the Playhouse Theatre. From 1965 through 1973, Ellington presented a series of concerts focused on sacred music that featured his jazz band, narrator, vocal soloists, and choir. Highlights of these concerts will be recreated by Penn State’s own ensembles. Dan Yoder leads Centre Dimensions. Essence of Joy's music director is Anthony Leach. Admission to all performances and masterclasses is free, and all are open to the public. Specific program information for each performance can be found on our Concert Calendar. For further information, please contact Anthony Leach at atl105@psu.edu. 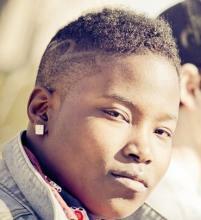 Inarhyme Recording artist Mark Lomax, II has spent a lifetime in music. His mother, a composer of gospel music, introduced him to both gospel and jazz at an early age. He continued his study of gospel music with Raymond Wise, founder of the Center for the Gospel Arts, where Lomax currently teaches. A master jazz drummer, Mark has led his own groups and has been featured as a member of many others. He has penned over 200 compositions for many genres including jazz, gospel, and classical. His orchestral arrangements of gospel songs have been played by the Nashville Symphony, the National Symphony, and the Akron Symphony. His jazz pieces, which run the gamut from 'head' arrangements to extended compositions, have been performed and recorded by his premier performing ensembles: The Mark Lomax Quartet, The Mark Lomax Trio, The Lomax-Bayard Trio, and his 30-piece chamber group, the Afro-Chamber Ensemble. Lomax has produced eight recordings as a leader/producer/arranger. He is also a highly sought after lecture in the musicological field of cultural ethnomusicology, specializing in the socio-political and spiritual aspects of African-American art musics. 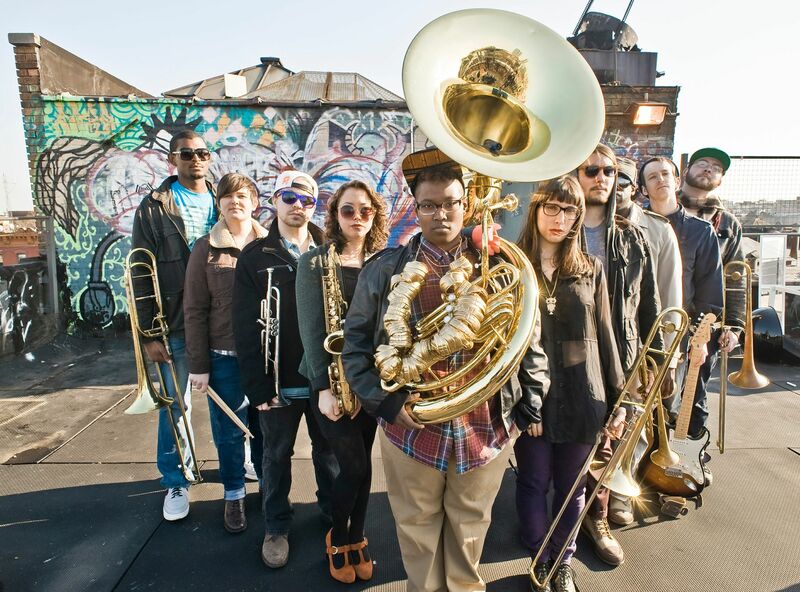 The Pitchblak Brass Band is a ten-piece New York City-based ensemble of composers, producers, artists, and rappers who have performed together since 2010. Drawing upon its members’ diverse musical backgrounds, styles, and visions, PitchBlak mixes hip-hop and brass to create music that pulses with Afro-Caribbean beats, soaring jazz solos, and mind-melting guitar licks. They infuse their hip-hop-driven music with funk, rock, jazz, and classical. "Pitchblak percussionist and emcee Chris Johnson also works as a classical bass player; guitarist Ben Brody plays classical French horn; and about half the group wrote the original music that appears on their debut album, You See Us." The band has performed at 66 Water Street in Brooklyn, the 92YTribeca, Southpaw, the Shrine, Spike Hill, and most recently headlined the first ever Brass Clash at the Brooklyn Bowl with the Underground Horns. In June 2011, PitchBlak participated in the acclaimed "Make Music New York" outdoor music festival, collaborating with hip-hop artist "We Stole the Show." Band members are also active in community outreach programs and in classrooms throughout the city, teaching and mentoring other young musicians. PitchBlak’s members come to the band with an incredible diversity of musical background and training, infusing their hip-hop-driven music with funk, rock, jazz, and classical. Chanell Crichlow is a native New Yorker with strong roots in Trinidad, West Indies. She received her bachelor's degree at the Manhattan School of Music, studying with Toby Hanks, and studied with Velvet Brown at Penn State. She has toured the Balkans with the Eli Yamin Blues Band through the United States State Department, and performed at Jazz at Lincoln Center. She has also played at the Michigan Womyn’s Music Festival, and with Nedra Johnson and The Fatbottom Girls. While a student at Penn State, Chanell held the principal tuba position with the Nittany Valley Symphony. Chanell and Pitchblak Brass Band were featured in the February 2014 issue of Downbeat Magazine in an article titled "Getting Deep and Breaking Rules" by Jennifer ODell. The article discusses a new wave of brass bands that are blending New Orleans street music with hip-hop and rap to create a totally new art form. Chanell Crichlow's photograph courtesy of Rebecca Emmanuelle Photography. Soulful. Empowering. Tasteful. All have been used to describe the playing, composing styles, and the musicality of trombonist Corey Wallace. With a strong sense of tradition, love for all good music, and a desire to be heard, he is able to reach and captivate audiences with his unique interpretations of melody and approach to improvisation and the music making process. Believing in learning directly from his peers and the elders, Wallace has shared the stage and/or has studied with a host of jazz luminaries, such as Wycliffe Gordon, Lee Konitz, Joe Chambers, Jason Marshall, Vincent Gardner, Matt Wilson, and Grachan Moncur III to name a few. The Washington City Paper has praised him for his “technical fluidity and for the heavy dose [of] introspection that sits right on the surface of his playing”. After study at Penn State University and Towson University, Wallace bears undergraduate and graduate degrees from these schools, as well as lasting relationships with the professors and students which has translated into teaching and playing opportunities. He has taught at Baltimore School for the Arts (2008-2012), the Penn State Music Camp, and most recently in the New York Public School System through a music outreach program with Harlem School of the Arts (2014). In New York, Wallace used his experience, knowledge, and personality to impact young students, teaching them a wide spectrum of music on its most basic and general levels. Regardless of the situation, he definitely has a knack for reaching those who share the love of music! 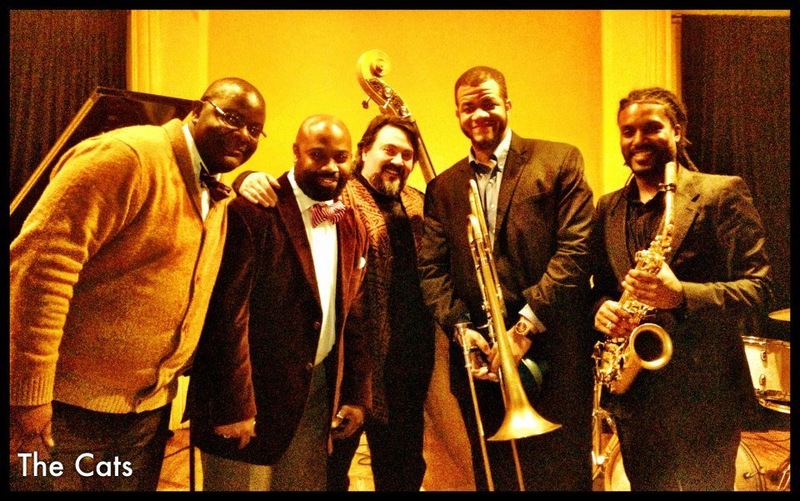 Before moving to New York City in August 2013, Wallace was (and still is) an extremely in-demand trombonist and arranger in the Baltimore/DC/Northern VA area, which has also led him to perform in many of the major venues, as well as the world famous Carnegie Hall, Heinz Hall in Pittsburgh, PA, various places in Spain, onto a national tour of Meredith Wilson’s musical “The Music Man”, and an international tour of the musical revue “Ain’t Misbehavin’”. Since relocating, he has hit the ground running, playing in the top clubs in NYC, such as Dizzy's Club Coca Cola, the Blue Note, and the Smoke Jazz & Supper Club among others. He regularly performing with the Jason Marshall Big Band, Leon Lacey's Freshly Orchestrated, the Marcus Johnson Urban Jam Band, and the Valery Ponomerav "Our Father Who Art Blakey" Big Band. Wallace continues to lead his own groups, including the Corey Wallace DUBtet. Regular members include Brent Birckhead, alto sax; Allyn Johnson, piano; Max Murray, bass; and CV Dashiell III, drums/percussion. The Penn State African American Music Festival celebrates the music of African Americans and African American composers. Typically occurring Thursday-Saturday on the first weekend of February, it includes performances by Penn State faculty and students as well as guest artists. The festival concludes with a concert on Saturday afternoon featuring Penn State's Essence of Joy. In February, 1995, Essence of Joy presented the first concert titled “Celebration of African American Spirituals.” Since that time, the event has develped into a collaborative venture in the School of Music. High school and guest collegiate choirs/bands, as well as professional performing artists, have also participated since 2003. In 1997, Anthony Leach coordinated the first Symposium on the African American Spiritual, involving guest artists, lectures, and choral performances. In 2000, Leach initiated conversations with several African American choral colleagues regarding a commissioning project. In 2003, the annual Celebration of African American Spirituals Concert featured commissioned choral compositions by Glenn Burleigh, Roland Carter, Marvin Curtis, Keith Hampton, Moses Hogan, Robert Morris, and Rosephanye Powell. All of the composers, with the exception of Moses Hogan, were present in University Park for the premiere of their works. Essence of Joy presented these compositions again at the 2003 national American Choral Directors Association convention in New York City and at the annual conference of the Pennsylvania Music Educators Association in Hershey. Moses Hogan died February 14, 2003 during Essence Of Joy’s concert at ACDA. The year 2009 brought a second commissioning project, and the festival hosted premieres of original works written for Essence of Joy by M. Roger Holland, II, Damon Dandridge, and Raymond Wise. Penn State students have also contributed original works and arrangements that have been premiered by EOJ since 2001. To date, 23 compositions have been written or arranged for performance at the African American Music Festival. In 2009, the name of the festival was changed from "Celebration of African American Spirituals" to the "African American Music Festival" in order to be more inclusive of the variety of music offered by the performers. The festival is coordinated by Anthony Leach.